There’s no reason to settle for less than picture perfect. With this LCD HDTV you’ll get amazing picture quality with 1080p resolution and a 150,000:1 dynamic contrast ratio. Plus Auto Motion Plus 240Hz delivers action scenes that are more realistic than ever before. And Medi@2.0 gives you more than TV programming and movies. Now you can access content from Yahoo! and Flickr. 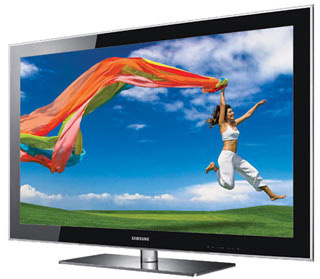 Turn your high-definition dreams into reality with the LN40B750 HDTV. The LN40B750 features an amazing 150,000:1 contrast ratio, 4 hdmi inputs and a Built-in ATSC tuner.